High quality copper made ring with high grade AAA cubic zirconia stones. 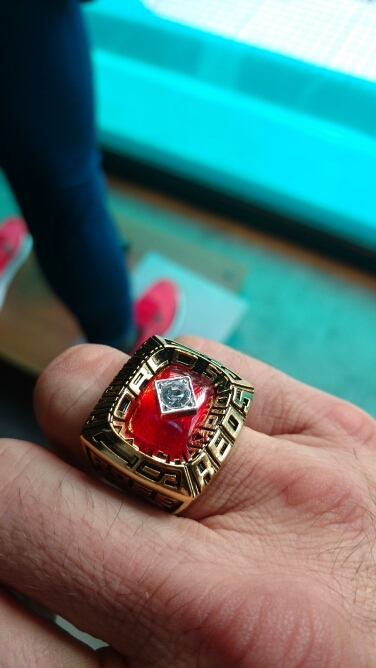 The ring is a custom made replica to match the original 1975 World Series ring as close as possible. It comes in a gift box. 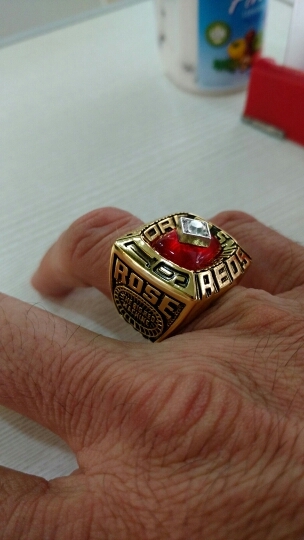 After you order this superb Cincinnati Reds Championship ring it ships out between 3-5 business days. Shipping time is between 12-20 days, depending on the destination. Check out the rest of our Cincinnati Reds World Series rings and please contact us if you have any questions. Payment is handled securely through PayPal and/or Stripe.